We’re doing it again ! Make your FREE reservation here. 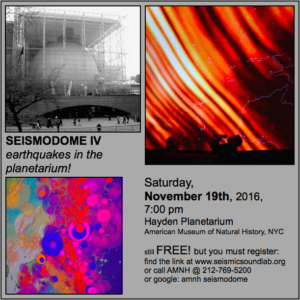 Also, we’ll have several exhibits at LDEO Open House, October 8th, that will include previews of some new Seismodome material, in a more interactive setting. We’re doing it again… and better… and its still FREE ! Thursday, January 14th, 2016, 7 pm! We know you have nothing better to do that night. But you must REGISTER ! Go HERE to register ! MAKE YOUR FREE RESERVATION NOW ! 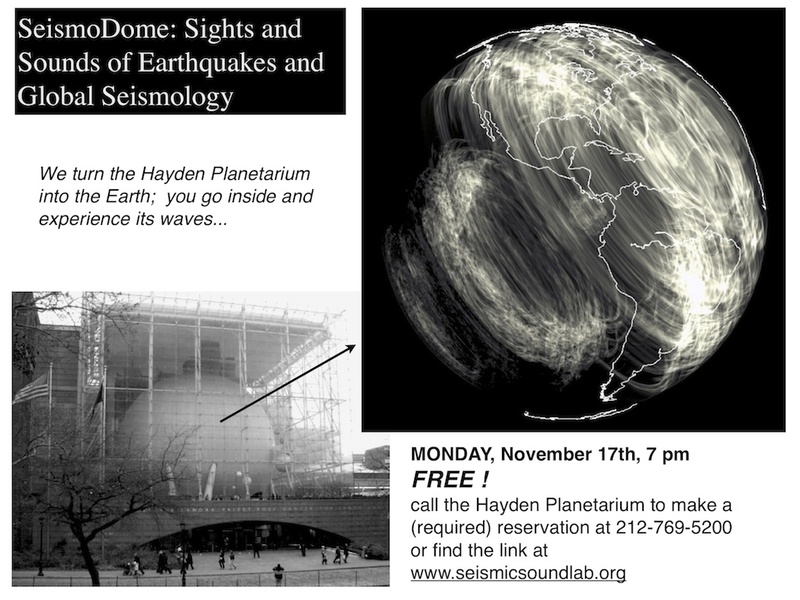 After much delay in finalizing the date of our show on earthquakes (unofficially called “Seismodome”, see the blurb below) in the Hayden Planetarium at the American Museum of Natural History, here it is! The show will happen twice this year, starting with a “preview” on Wednesday night, *June 25th*, and then the big show, sometime in *November, 2014*, exact date TBD. The preview will be associated with the ICAD (International Conference on Auditory Display) meeting at NYU in June. The second show will be associated with the opening of the “Nature Unleashed” exhibit at the AMNH. What is an earthquake? Why are they unpredictable? How do we use the “seismic waves” emitted from an earthquake to make images of the Earth’s deep interior? What do those images tell us about where and why earthquakes occur? 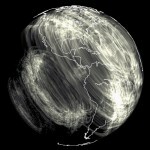 To explore these questions, we will fill the planetarium dome with seismic waves moving through the planet and the complex patterns of earthquake locations through time and space, using the Hayden’s full 24 channel sound system and 194.6 degree screen. With movies and sounds, we will examine five earthquakes from the last decade — in California, Haiti, Sumatra, Japan and Kamchatka — as if we were out in space and then deep inside the planet, far from the sometimes catastrophic consequences for humans. You will emerge with an altered view of our planet and our place in it.